Maryland Baseball Network counted down to Opening Day! Today marks the start of the 2017 season, so here’s a look at #0, Anthony Papio. 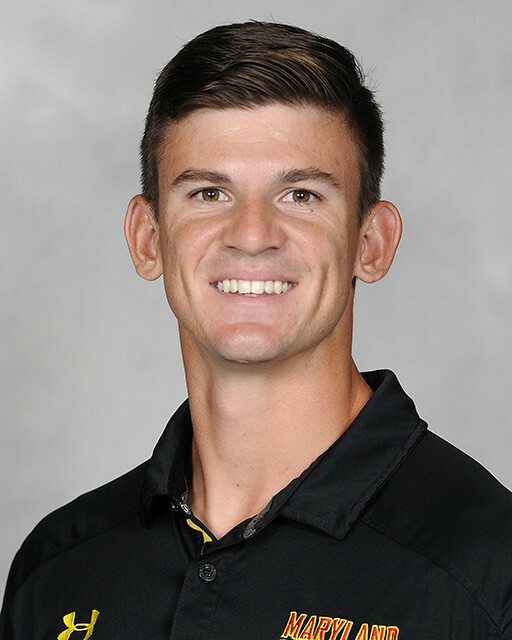 About Anthony: Anthony Papio returns to College Park to join the Terrapin’s coaching staff as a student assistant coach after four remarkable seasons on the team. He holds the team record for most games played (230) and finished second all-time in triples (9). Papio started his career at Maryland as a walk-on and quickly turned into a key player for the Terps. As a redshirt freshman, Papio appeared in 47 games, splitting time between right and left field. He posted a .245 batting average with five doubles and 21 RBIs. Papio started 53 games as a sophomore, solidifying his spot in right field and batting .271 with nine doubles and two home runs. As a Junior, Papio became one of just two Terps to start in all 66 games. He recorded 16 doubles, 26 RBIs and six home runs. He earned All-Tournament honors at the Los Angeles Regional after a noteworthy defensive performance. During his final year on the Terps roster, Papio batted .261 with eight doubles, four triples and four home runs. He finished the year with a hit and a walk in the Big Ten semifinals against Iowa. Off the field, Papio earned Big Ten All-Academic honors, Maryland’s Outstanding Sportsmanship Award and won the “Iron Terps” competition three years. Maryland Baseball Network is counting down to Opening Day! Today marks two days until the start of the 2017 season, so here’s a look at #2, Rob Vaughn. About Vaughn: Rob Vaughn is set to begin his fifth season at Maryland, his first as associate head coach. 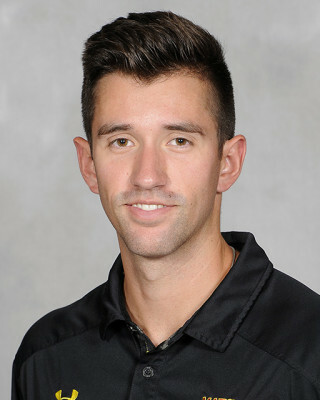 He first joined the Maryland coaching staff in 2012 after a two-year stint as a volunteer assistant coach at Kansas State University, his alma mater. After a standout career as a catcher in his four years at Kansas State, Vaughn was drafted by the Chicago White Sox in the 30th round of the 2009 MLB Draft. 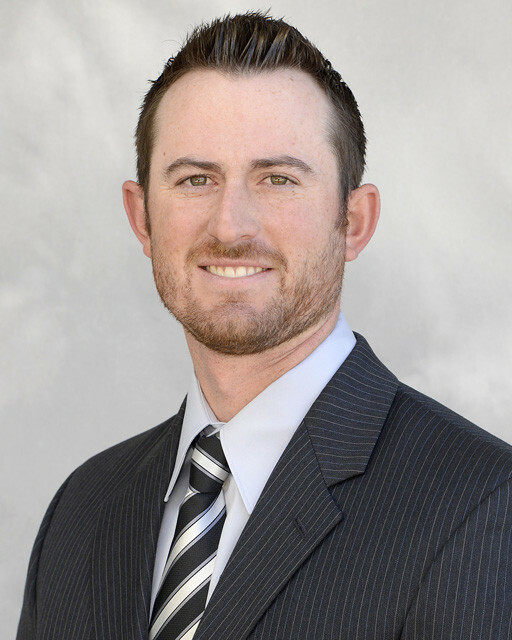 He spent parts of two seasons in the minors, where he played with current major leaguers such as Dodgers’ outfielder, Trayce Thompson, and Mets’ reliever, Addison Reed. While directing Maryland’s recruiting efforts, Vaughn brought in the highest ranked recruiting class in team history in 2015. Under his tutelage, many recent recruits have made an immediate impact at the plate, including Nick Dunn and Marty Costes, who were both awarded Big Ten All-Freshman honors in 2016. In his six years as a coach, Vaughn has coached 24 players who have either been drafted or signed by a professional team, including 2015 draftees Brandon Lowe and LaMonte Wade. Vaughn’s refers to his hitting philosophy as “The Pack.” In the Pack, each hitter has his own role, whether it be to run, drive in runs, be a “master of execution,” or a combination of the three. The three Pillars of the Pack, as Vaughn calls these attributes, are vital in the Pack’s effort to function as a single unit. Maryland Baseball Network is counting down to Opening Day! Today marks three days until the start of the 2017 season, so here’s a look at #3, Zach Jancarski. About Zach: As a freshman, Zach Jancarski appeared in 28 games for the Terps, starting in four. He went on to establish himself as the every day center fielder during late April of his sophomore season. He hit .257 but got on base at a .348 clip and ranked third on the team with five stolen bases. 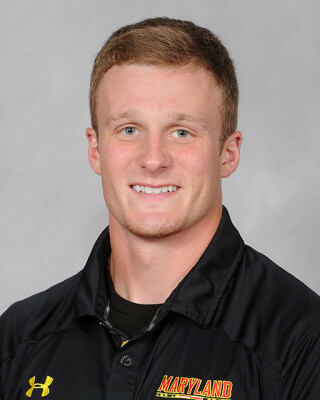 Jancarski was an All-Star for the Sanford Mainers in the New England Collegiate Baseball League last summer, and finished second in the league with 20 stolen bases. Jancarski was featured on the latest episode of the Maryland Baseball Network podcast, which can be found below. Maryland Baseball Network is counting down to Opening Day! Today marks four days until the start of the 2017 season, so here’s a look at #4, Kevin Smith. About Kevin: No other player on the Terps’ roster has received more summer and preseason accolades than Kevin Smith. The junior shortstop was named the Cape Cod Baseball League LCS MVP after leading his Y-D Red Sox team to a third straight title, batting .370 with three home runs during the playoff run. Of his 10 postseason hits, five were for extra bases (three home runs, two doubles). As a result of his stellar summer, Smith was named D1Baseball.com’s “Breakout Summer Prospect,” the No. 5 prospect in the Cape Cod League, and has consistently been in the top-20 in various 2017 college prospect breakdowns. 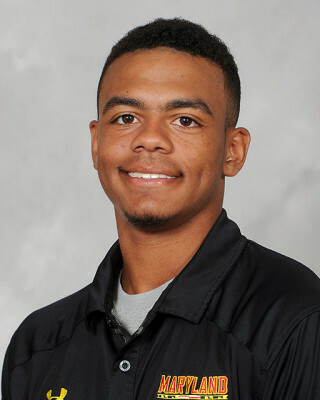 Smith was named a Preseason First-Team All-American by both Baseball American and Perfect Game, and was named a Preseason-Third Team All-American by D1Baseball.com. All three publications tabbed Smith as the Preseason Big Ten Player of the Year. In addition,Baseball America. named him as the best defensive shortstop in the Big Ten, the top 2017 prospect in the Big Ten. Last season, Smith was one of just two players—the other Nick Dunn—to start and play in all 57 games. He tied with Madison Nickens for second on the team in home runs (8), finished second on the team with 60 hits (trailing Dunn, 68), and was second on the team with 34 RBIs, trailing only Marty Costes (37). The junior also played in every game his freshman season, when he was named a Freshman All-American. Dating back to that year (2014-2015), Smith has started—at shortstop—for 115 consecutive games. 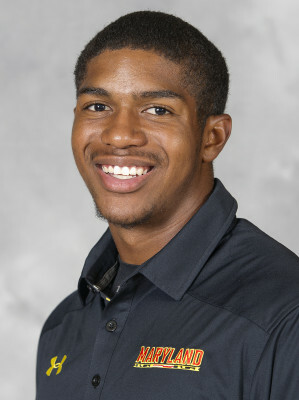 Smith joined MBN on the Maryland Baseball Network podcast in November, along with D1Baseball.com’s Aaron Fitt. Maryland Baseball Network is counting down to Opening Day! Today marks five days until the start of the 2017 season, so here’s a look at #5, Brandon Gum. Height/Weight: 6’2″ / 185 lbs. About Brandon: Transfer infielder Brandon Gum comes to Maryland as a redshirt senior, playing in just 11 games last season for George Mason due to an injury. He started in all 11 games he played in, however, and hit above .300 for the Patriots, adding a pair of doubles, a home run and 11 runs scored. In Gum’s last full season in 2015, he was a key player for George Mason. He ranked second on his team with a .338 batting average, and tallied the third-longest hitting streak in George Mason history — 25 games. He also earned Atlantic 10 All-Conference Second Team honors. Gum played against the Terps three times as a Patriot, going 4-for-10 with 3 RBIs. Gum has experience at both positions on the left side on the infield but will get the bulk of his opportunities this season at third base, along with AJ Lee. Maryland Baseball Network is counting down to Opening Day! Today marks six days until the start of the 2017 season, so here’s a look at #6, AJ Lee. Height/Weight: 6’0″ / 175 lbs. About AJ: AJ Lee was the sixth-ranked prospect in the state of Maryland in the Class of 2015 before he came to College Park. A graduate of St. John’s College High School, Lee was named the Washington D.C. Gatorade Player of the Year in both his junior and senior season. In high school he pitched as well as hit, but his best success came at the plate in his senior year, when he hit .388. Lee had limited playing time his freshman season, hitting under .200 in 19 games (nine starts), but he hit .255 with a .371 on-base percentage over the summer in the Alaska League. Lee enters this season as the likely candidate to start at third base for John Szefc’s Terrapins while Brandon Gum recovers from rotator cuff surgery. Szefc noted that Lee was one of the players who developed the most over the offseason.